For most people, it is rare to leave the house with just one mobile device in today’s times. Changing lifestyles have turned tablets, phones or computers into frequent and indispensable companions during most day-to-day activities, making it all the more inconvenient when these suddenly run out of battery. 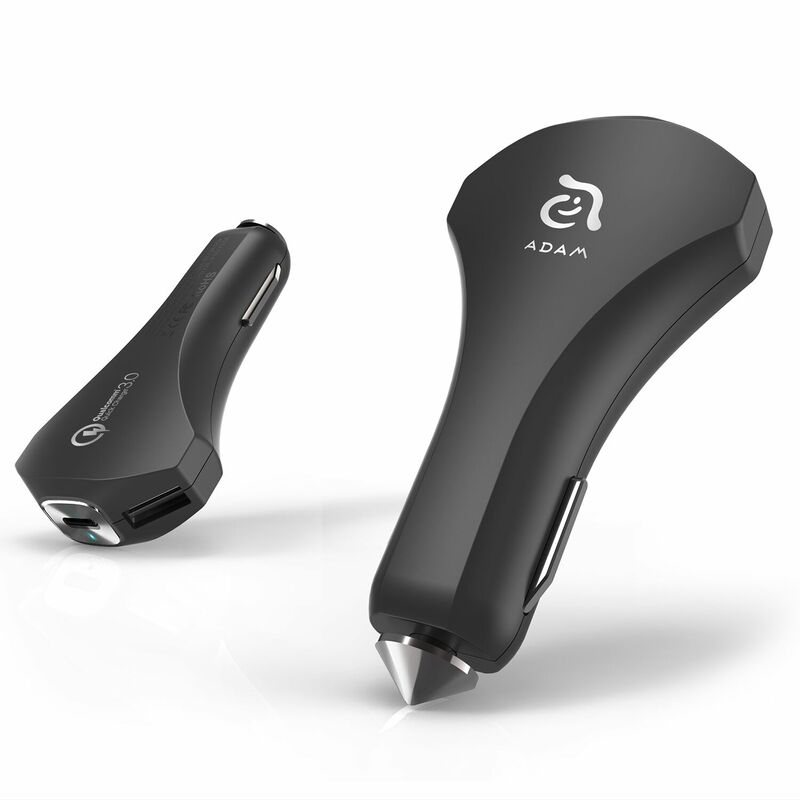 For car drivers and their passengers, ADAM elements presents a convenient solution to this problem, the all-in-one car charger CASA CO³. 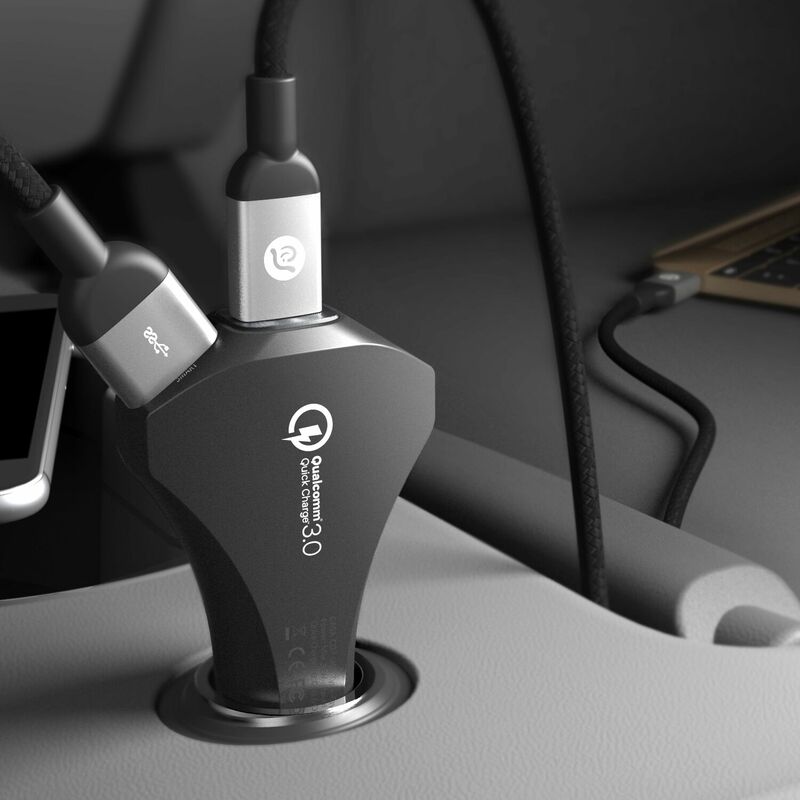 Boasting both a USB-C and two USB-A ports, the intelligent and elegant device enables users to charge multiple mobile devices simultaneously while driving. Four times faster than traditional car chargers. With the CASA CO³, ADAM elements makes sure that your devices never run low on battery. 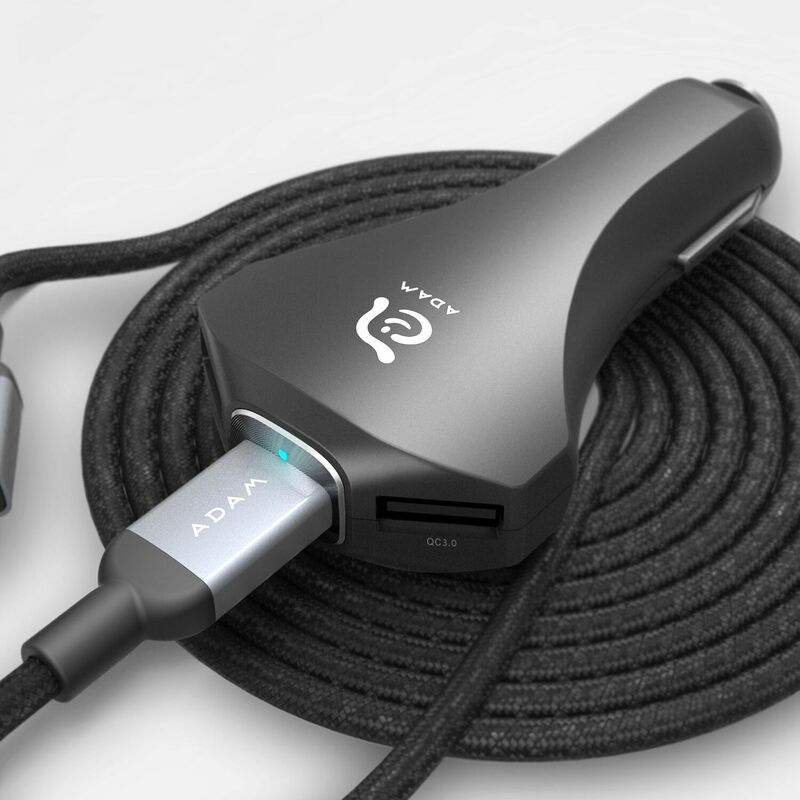 The intelligently designed car charger features a USB-C and two USB-A ports that enable users to charge mobile devices while driving. For drivers who seldom travel with just one device, this means that neither their iPhone, iPad nor MacBook will be left behind – all can be charged simultaneously. This comes in handy especially with several people in the backseat, who no longer need to argue about who will be first to charge his or her device. Moreover, CASA CO³ is equipped with QuickCharge 3.0 technology, making it faster than traditional car chargers while remaining downward compatible with QuickCharge 2.0. Even shorter trips consequently provide sufficient time to instil users’ mobile devices with new battery life. Made from a black polycarbonate blend, the sleek design of the CASA CO³ fits perfectly into any car interior. Its light weight further makes it easy to take along during travels, while multiple protective failsafe designs and high quality electronics ensure that nothing can go wrong when multiple mobile devices are being charged. This way, the device is protected from overheating, short-circuits, over-voltage and over-currents. The CASA CO³ comes with a one-year warranty and is available to purchase online from the Taiwan-based ADAM Store. The MSRP is £24.99.